For all the talk about the growth of Big Data, there hasn’t been a commensurate increase in the amount of data going to human perception. Parallel to the rise of Big Data, augmented reality (AR) and virtual reality (VR) technologies are enhancing reality like never before. 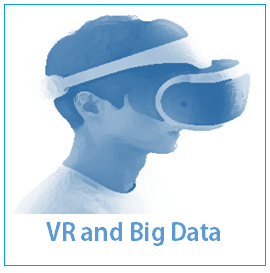 VR and AR can be applied to Big Data, especially real-time data streams – after all, reality is in real-time. This talk surveys the exciting developments in AR and VR and how analytics can be combined with these technologies to yield data immersion. The audience will learn about the market developments in the AR and VR space and how they can apply to the perception of data using reality metaphors – well beyond traditional data visualization metaphors some of which date back to the late 1700’s.